Best Deal Alert! You can now buy Xiaomi Mi Power Strip EU Plug XMCXB04QM from Gearbest.com for only $25.20 with free shipping. Hurry up, limited time offer! The extension is always there in every home, and often more than one, but not all are satisfied. Constantly confronted with their shortcomings, we started thinking about how to improve them. 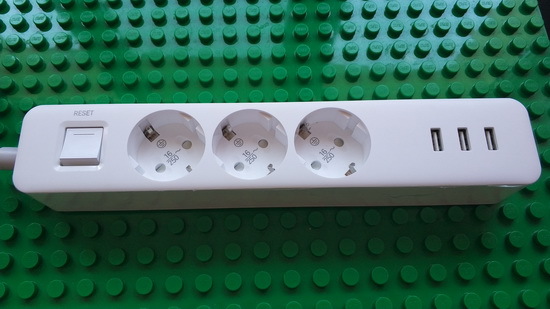 For comfortable use, we modeled a power strip with 3 USB ports, as the number of gadgets in everyday life increases a problem with them charging. In addition, to ensure that our devices are of the appearance of other accessories for the house, we carefully studied design. All items are a made-to-order extension of high-quality materials. The occupied area, compared with conventional extenders, less than 50%, a three-level security enabled. Simple, elegant and compact — all this is done not only in order to enable you to discreetly hide under the table, but also to use as a desktop accessory. 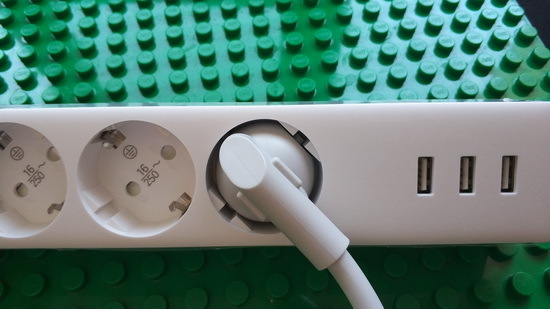 Improving the appearance of the extension course can not “turn the world upside down”, but it can greatly simplify your life.This device comes in a minimalistic design and in accordance with the requirement of home decoration, It uses the same production process, one-time non-mark injection molding to get a delicate and concise appearance. Whats more, different processes are applied to the top and side surface. It uses grind frosting processing on the top surface which can prevent scratches effectively. The side mirror polishing is used to blend with the surrounding environment. A high-quality Tin phosphor bronze was used as the internal structure material. With good elasticity, strong electrical conductivity, and high wear resistance. It comes with a unique mini strip close to capsize which makes you wall looks clean and tidy.This device is embedded with non-slip pads on four feet which makes it more stable on any flat surface. It has a hidden LED indicator with a peaceful white without any disturbance. Unlike the old red lights that grab in eyes, soft white light feels more comfortable. Unboxing Photo Album with Hi-Rez images here. 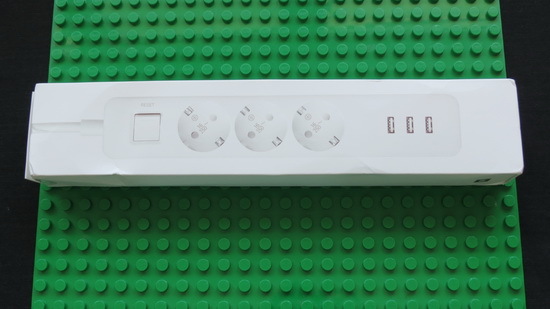 Unboxing Xiaomi Wifi Remote Control Power Strip 6 Outlets here. 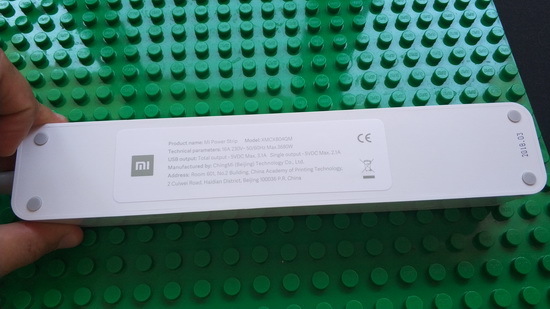 Unboxing Xiaomi CXB6-1QM 6 outlets Power Strip here. 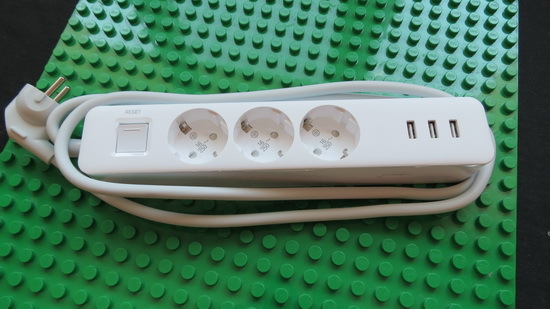 Unboxing Xiaomi XMCXB01QM Mini Power Strip with 3 USB Charging Ports here. All about Xiaomi devices on xiaomi-pedia.com. About Gearbest GearBest is more than just a shopping site, it’s designed for gadget lovers by gadget lovers. We have a passion for all kinds of tech from retro style to the absolute cutting edge. At GearBest, our company vision is simple: to become the premier online electronics seller by providing an unparalleled selection of the very best gadgets, an unbeatable shopping experience, prompt shipping and exceptional customer service that exceeds expectations. For us, the customer is always king. Our total commitment to customers empowers us to work closely together with every customer. When you buy from us, the sale is not complete when we ship your order, it is complete when you are totally satisfied.